Descartes is commonly read as the paradigm defender of substance dualism, a theory caricatured by Ryle as the 'dogma of the ghost in the machine'. On this reading, mind and body are defined in such a way that they have no common properties that might help explain how they interact, and it is therefore impossible to provide any account of precisely those features of human experience that this 'theory' was meant to explain. Thus Descartes proposed an obvious dead-endand almost any beginner in philosophy can diagnose where he went wrong. 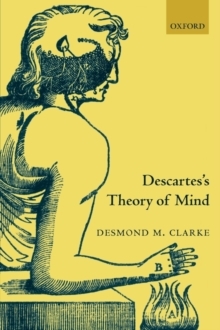 Apart from its intrinsic implausibility, Desmond Clarke offers good reasons for thinking that this cannot have been Descartes's view. Descartes was an unrelenting critic of what Scholastics called 'substantial forms'. One cannot explain how we succeed in thinking by saying, simply, that we have a thinking faculty. Cartesian objections to forms apply equally to substances. Descartes also argued that we know nothing about substances apart from their properties, so that substances are notavailable as independent explanatory entities. Finally, Descartes's own efforts to explain sensations, memory, imagination or the passions all involve rather speculative accounts of how the brain and the central nervous system work. 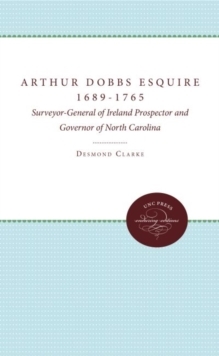 Clarke's compelling and important new reading shows that a failure to engage with Descartes's scientific work leads to a wholesale misunderstanding of his theory of mind. It will be of great interest to scholars and students of Descartes, and throughout the philosophies of mind and science.